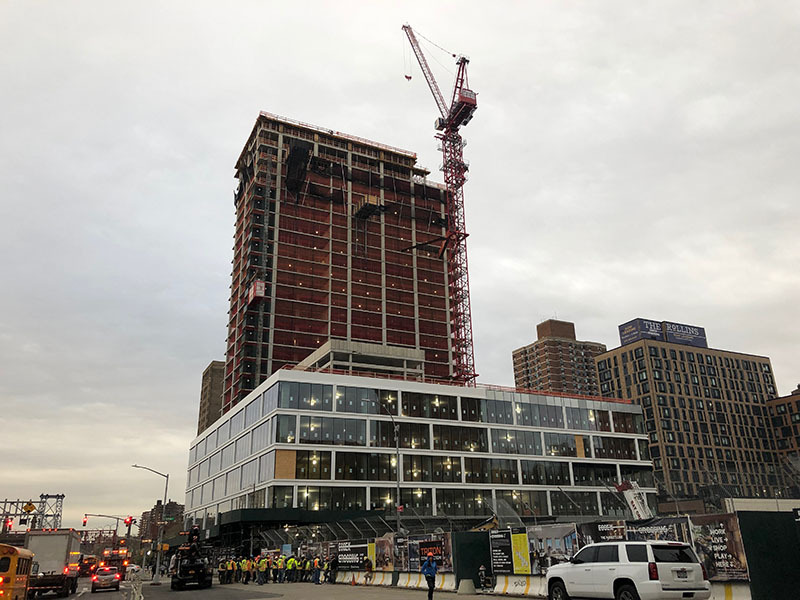 Construction on the Hilton Grand Vacation Hotel has topped out at 12 East 48th Street. 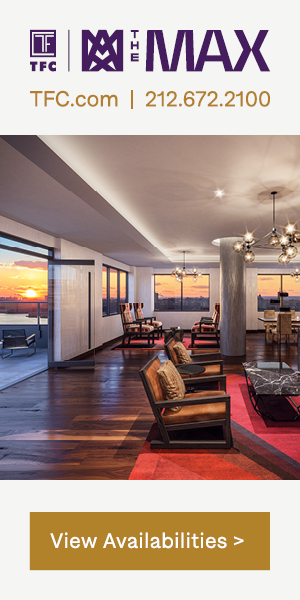 The 31-story project is being designed by Handel Architects and developed by Hidrock Realty. 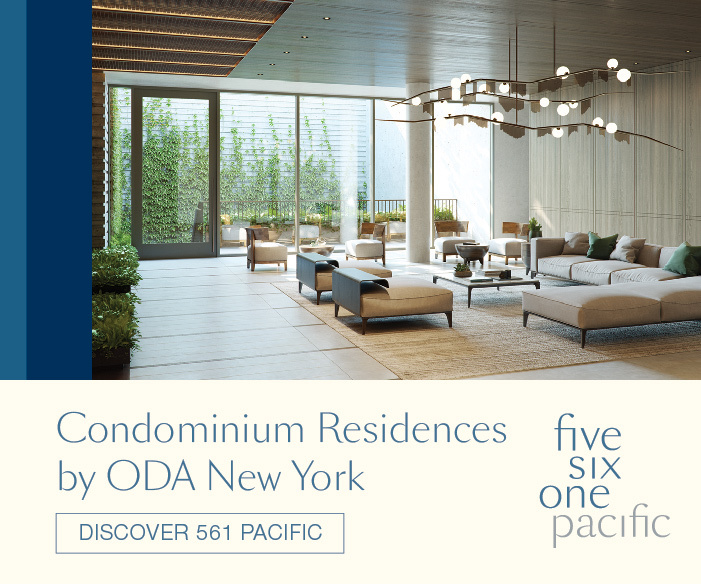 There will be a total of 161 rooms, an outdoor terrace, and ground-floor retail space. The site was part of a $47 million purchase several years ago. A reinforced concrete structure makes up the frame of the building, which will be clad with white metallic panels. Construction on Queens Plaza Park, aka 27-29 Queens Plaza North, is starting to rise above street level in Long Island City. The concave southern wall of the 67-story tower, which is also addressed as 29-37 41st Avenue, is taking shape. Reinforced concrete floors have begun to make their way toward the 755-foot-tall pinnacle. Foundations were completed in December, and work has now passed the second floor. The 978,000-square-foot project is being designed by Handel Architects; The Durst Organization is the developer of the building. Selldorf Architects will be designing the interiors. 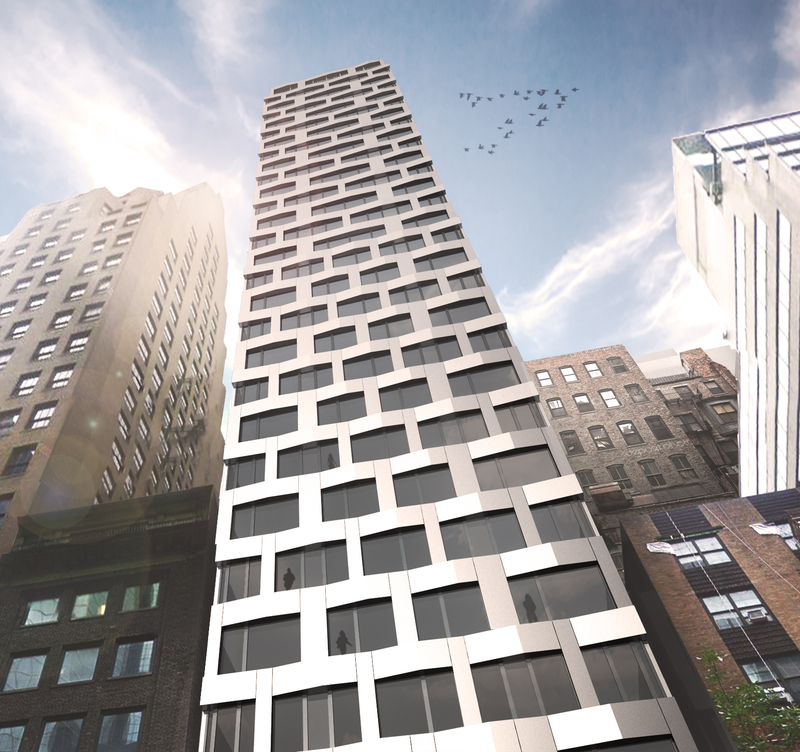 Construction at 15 East 30th Street, aka 126 Madison Avenue, is climbing higher above NoMad. 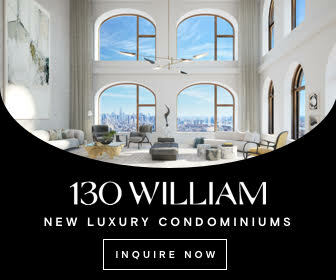 Work has surpassed the roof of Sky House, one the earliest slender residential skyscrapers in New York City. 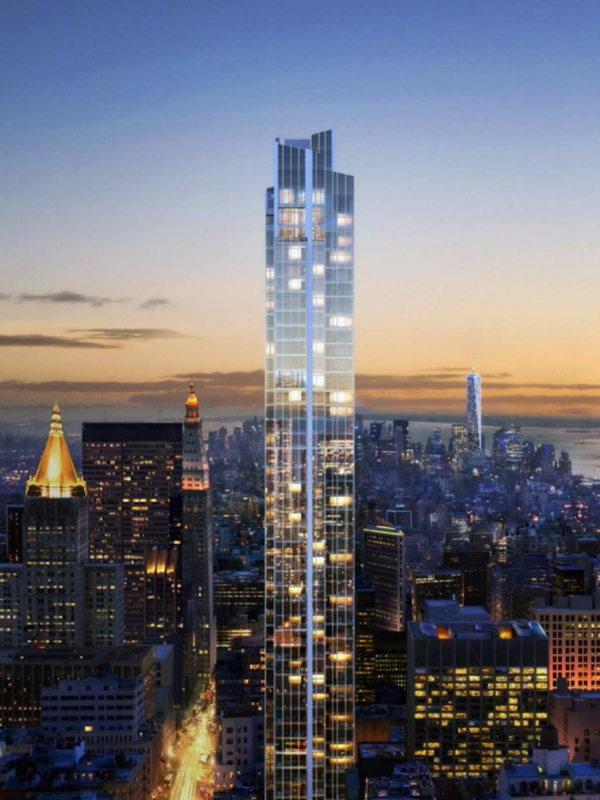 The upcoming 756-foot-tall, 51-story structure is being designed by Handel Architects while Fosun Group and JD Carlisle are responsible for the development. 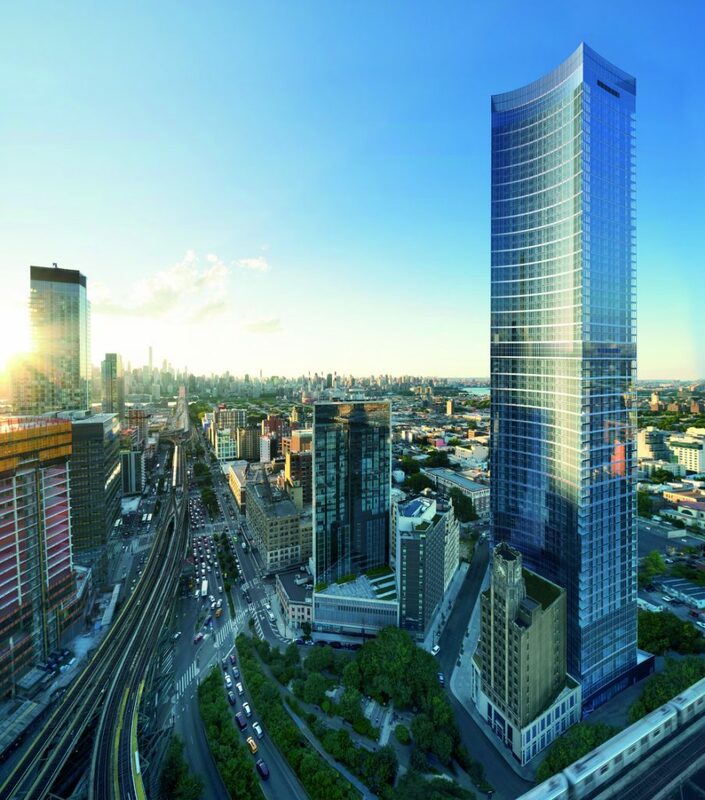 The tower will contain 180 condominiums, which will average more than 1,600 square feet. 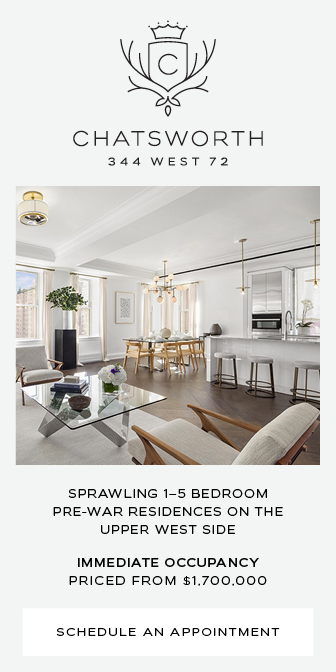 The project will yield about 300,000 square feet, with 7,500 square feet of retail space divided among two storefronts facing East 30th Street and Madison Avenue. 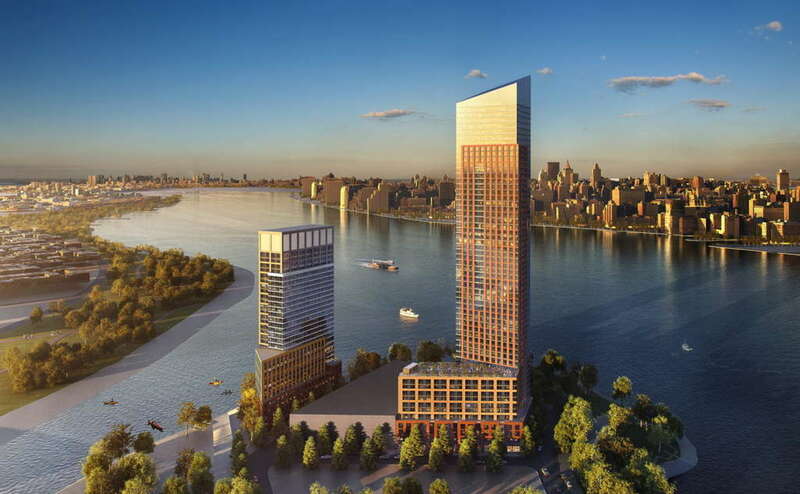 Permits have been filed for two major new towers at 57-28 2nd Street and 1-15 57th Avenue in Hunters Point South. 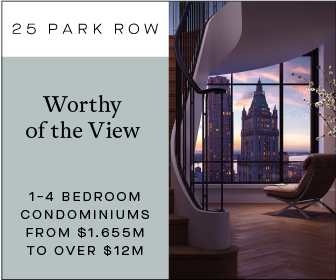 The two proposed, glass residential buildings are being designed by Handel Architects and will sit at the intersection of 57th Avenue and 2nd Street. The sites are located in Long Island City by the Hunters Point South ferry terminal. Both towers are being developed by Gotham and Riseboro Community Partnership.